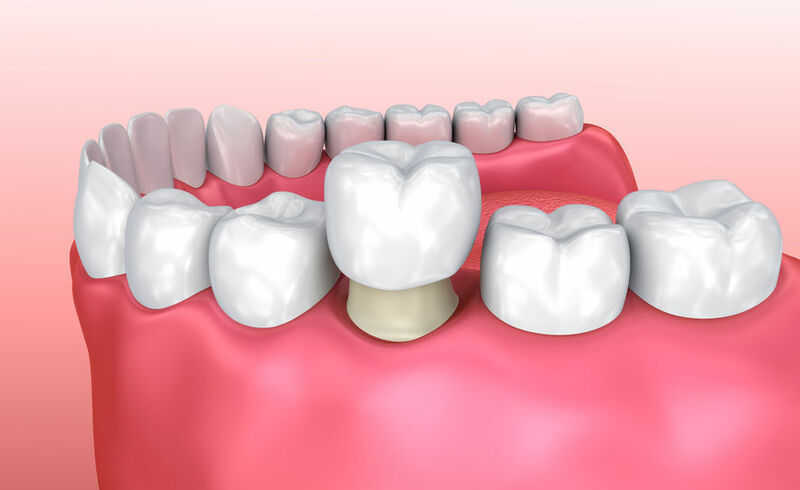 A dental crown (also called a tooth cap) is a protective covering a dentist or prosthodontist places around a tooth either to provide more pleasing aesthetics or to protect it and restore the tooth’s function when it’s been significantly damaged. The process for getting a dental crown is straightforward, though there are a number of differences that can occur depending on the patient’s preferences. Before you start talking about a crown, your dentist or prosthodontist will have to look at your teeth to determine whether a crown is even necessary. Sometimes, a tooth is too far gone to support a crown. Other times, additional treatments, such as a root canal, may be necessary. If your oral specialist has determined you need a dental crown — or if you simply want one for cosmetic purposes — they’ll advise you on your options. If the dentist offers single-day crown placement with CEREC® or some other in-office milling technology, you’ll get to choose whether you want a CEREC® crown or a traditional crown. CEREC® crowns are made and placed during a single, long visit, whereas traditional crowns require two, shorter visits, between which a dental lab will oversee the production of the crown. During your consultation, you’ll also have to choose which material you want. Not all materials are available for CEREC® crowns — CEREC® can only produce all-porcelain or zirconia crowns. If you prefer another material, you’ll have to go with a traditional crown. Materials available for crowns include composite resin, porcelain-fused metal (PFM), all-metal, amalgam, and all-ceramic. Each of these materials has their advantages and disadvantages as well as price differences. To review their differences, check out this blog on crown costs. The steps for a traditional crown and a CEREC® crown are really the same, except that the CEREC® crown is made in a milling machine at the dental office. For both procedures, you may have to schedule a separate visit to the dental office after the consultation. The first thing your dentist will do is to prepare your tooth for the crown. To start, they’ll usually anesthetize (numb) the tooth and surrounding gum tissue. This isn’t always necessary, especially if the tooth’s nerves have been removed during a root canal, but it does make the procedure more comfortable. Numbing the tooth and surrounding tissue does require needles. If the prospect of being poked bothers you, there are other options. Some dentists offer laser dentistry, for example. Laser dentistry uses a dental laser like Solea® to remove tooth material and to perform other dental tasks. The advantage to laser dentistry is that it’s virtually pain free, so needles are required. It’s also silent, so you won’t have to endure annoying, high-pitched drilling sounds. Another option is IV sedation. If having any procedure done in your mouth causes you to break out in a sweat, this might be a good option. When sedated intravenously, sedation medications are administered though a vein directly into your blood stream, where they’re quickly absorbed. You’ll fall asleep quickly and won’t remember the procedure. After numbing the tooth and surrounding tissues, the dentist will use gingival retraction chords to push the gums down and away from the tooth. The dentist does this so they won’t cut the gums and can trim the tooth low enough for proper crown placement. Gingival retraction chords are also used so an impression of entire tooth can be taken (more on this later). Once the retraction chords are in place, the dentist will begin to trim the tooth. This is done for a number of reasons. First, crowns have to be so thick. If they’re too thin, they’ll break or simply appear unnatural. Thus, the dentist has to make sure enough of the tooth enamel is removed so accommodate the crown’s requirements. All-metal crowns can be slightly thinner than ceramic or ceramic-fused metal crowns, so not as much needs trimmed for them. Depending on where the tooth is located and the material used, the dentist will remove between 63 and 75 percent of the tooth enamel. They might remove more material if there’s decay, if the tooth is structurally damaged, or if they have to remove a filling. Second, the dentist will trim the tooth so the crown fits. There are different methods for trimming the tooth for a crown, which get somewhat technical, but essentially the dentist has to shape the tooth stump so it will hold the crown well and won’t cause future complications. The dentist might not just have to trim down a tooth to prepare it to hold a crown. They sometimes have to build up the tooth. If part of the tooth has broken off or if there are large portions or decay, the dentist sometimes has to add filling material so the crown will have enough of a base to adhere to the tooth. After the tooth has been trimmed, the dentist will take an impression of your upper and lower teeth through one of two methods. Traditional impressions involve a putty-like compound that the dentist places in a rubber or plastic tray, which the patient bites into. After the impression material hardens, the dentist removes it and sends the impressions to a dental lab, where technicians use the impression to create a plaster cast used to make the crown. The other method is an optical impressions, which a dentist takes using a small, hand-held camera. The camera scans the teeth and sends digital information to a computer, where it’s either then sent to a dental lab or the CEREC® (or other brand) CAD/CAM equipment in the office. Next, if you’ve opted for a traditional crown, the dentist will place a prefabricated, temporary crown made of resin or metal. The temporary crown protects the tooth and keeps teeth around it from shifting while the permanent crown is being made (which takes about 10 days). This crown is placed with temporary cement, which the dentist can easily remove. You’ll have to be careful during the time you’re wearing a temporary crown. It’s easy to pop it off when flossing or eating. While wearing a temporary crown, avoid sticky and hard foods. And favor the side with the temporary crown. Eat using the opposite side of your mouth, for example. 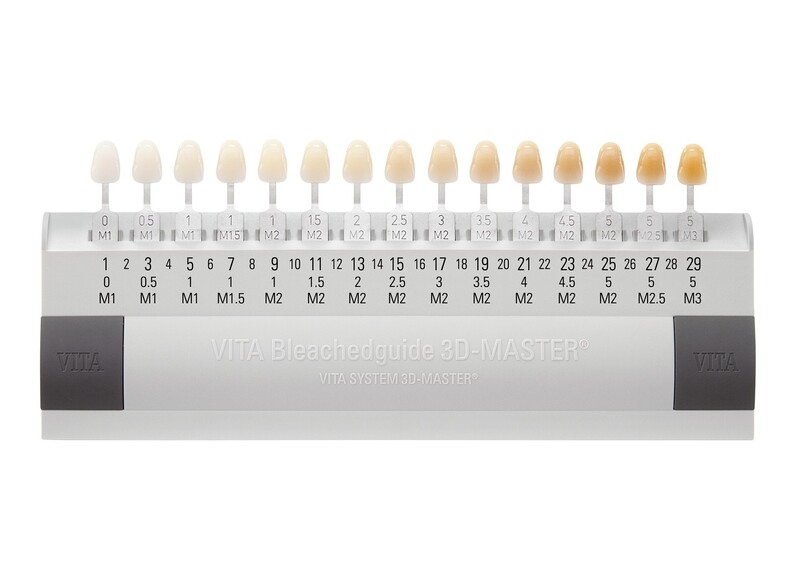 Last, if you’re getting a traditional ceramic crown, the dentist will use a shade guide to determine the shade of the teeth surrounding the tooth that’s receiving the crown. The dentist sends this information to the lab so the technicians there can create a natural-looking crown. If the dentist takes an optical impression, a shade guide may not be necessary. Newer, 3-D optical impression technologies record the teeth’s color. At your next appointment, the dentist will prepare your mouth to receive the crown by again numbing it. This isn’t always needed, as the procedure is often painless. After numbing the teeth, the dentist will remove the temporary crown and scrape away the cement. This step, of course, isn’t necessary if the patient has opted for a CEREC® crown. After numbing the teeth, the dentist will test the fit of the permanent crown. They’ll place it on the tooth stump and ask you to bite down gently. They may have you bite down on impression material, as well, to mark the crown where it’s too high. And they may floss around tooth. Between these actions, they’ll remove and adjust crown with a little drill and put it back in to retest. Once the crown is placed, the dentist will have you inspect it to make sure it looks good. After the dentist has cemented the crown, some changes, like shades, can’t be changed. If there’s something wrong with the crown, now is the time to speak up. If you’re pleased with the crown, the dentist will cement in place. They’ll either put the cement in the crown or directly on tooth and push down the crown. After a few moments, they’ll them remove cement that has secreted from under the edges of crown when it was placed. Sometimes the cement will cause a burning sensation in the gums around the tooth stump. The feeling is only temporary, and your gums will recover. After the crown is placed, you’ll want to be careful for the first 24 hours while the cement cures (hardens). Don’t eat hard or sticky foods the first day, and avoid flossing around the crown. It’s not uncommon to experience some mild discomfort after the procedure. You might feel some soreness, sensitivity to changes in temperature, or mild pain when you chew. To alleviate these symptoms, your dentist might instruct you to take some over-the-counter medication for a few days. After this, there’s not much you have to do to care for a crown. Continue to perform daily oral hygiene, and let your dentist know about issues, such as pain or discomfort, that arise.